How Do Bed Bugs Get In Your House? ​​How Do Bed Bugs Get Into Your Home? You’d love to avoid bringing any bed bugs into your house. Even the thought of having them crawling all over you during your sleep, draining you of blood, makes you not want to close your eyes. But you aren’t quite sure how bed bugs get into your house to begin with. And if you don’t know how it happens, how will you ever prevent it? To get an idea how these pint-sized pests get into your house, keep reading this article. Where Are You Most Likely To Catch Bed Bugs? How Do Bed Bugs Travel Home With You? Will Bringing a Bed Bug Home Definitely Cause An Infestation? Where Are You Most Likely To Pick Up Bed Bugs? You aren’t going to catch bed bugs from a leisurely stroll through the woods, like you would with ticks. With ticks, if they don’t find a human host, they’re still going to be fed. They’ll hitch a ride with any animal and start feeding on their blood. But with bed bugs, it’s a different story. They don’t want to feed on an animal, although they’ll do it if they are desperate. Because they want human blood when given a choice, you’ll find bed bugs in places where people congregate. Let’s look at some of the popular hot spots. If you read the news these days, you’ll see that hotels have been struggling in recent years with a bed bug explosion. It can be enough to make someone want to camp out instead of staying at a hotel and with good reason. 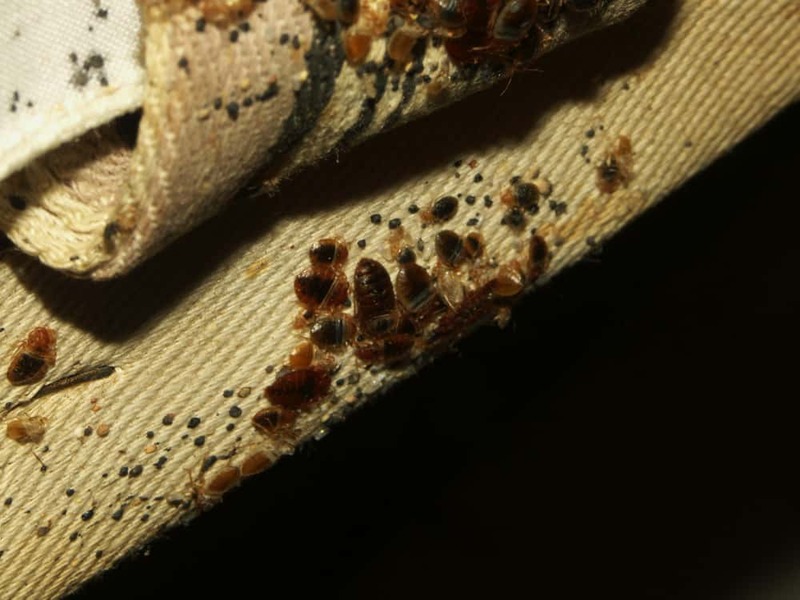 Bed bugs are tricky to spot and by the time you put your bags down near the bed in a hotel, a bed bug could have already crawled inside, particularly if you check in at night when they are the most active. 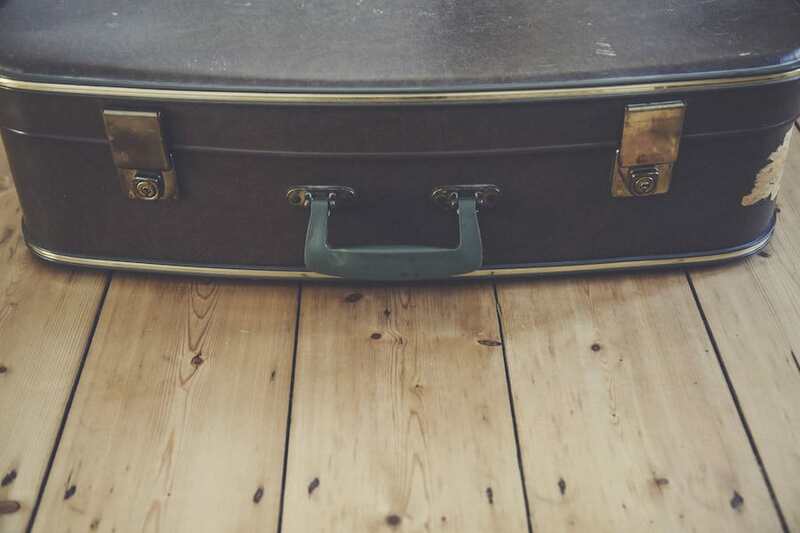 Although it sounds strange, keeping your luggage in the bathtub (or in the bathroom at the very least) is a great idea when staying in places you're worried could be infested. Bed bugs generally stay away from bathrooms as they're not inhabited by people much, and the tiling that's usually present doesn't offer much protection for them. Also, by putting your luggage in the bath, you're creating a barrier against the bed bugs as they probably won't be able to climb the slippery surface. Bed bugs lack suction pads on their legs, and they can't jump or fly. Hotels aren’t the only place when you can pick up bed bugs. It can happen at any infested home you go to. Since people usually aren’t exactly forthcoming about any bed bug infestation they might be experiencing, you could be in a home filled with bed bugs and not even know it. If the infestation isn’t too severe, your unsuspecting host might not even be aware there is a bed bug problem. So if you’re at a relative’s house, a neighbor’s house, or even your best friend’s place, there is always a remote possibility that those places contain bed bugs. It may be cheap to use and get you reliably where you’re going to, but public transportation can be scary too. You’ll run into some unsavory characters from time to time, and you also should be worried about the things you can’t see. Bed bugs in buses, subways, and cabs can be notoriously hard to spot. You’ll probably be too busy people watching or making sure you don’t miss your stop to notice these small bugs crawling into your bag or purse. 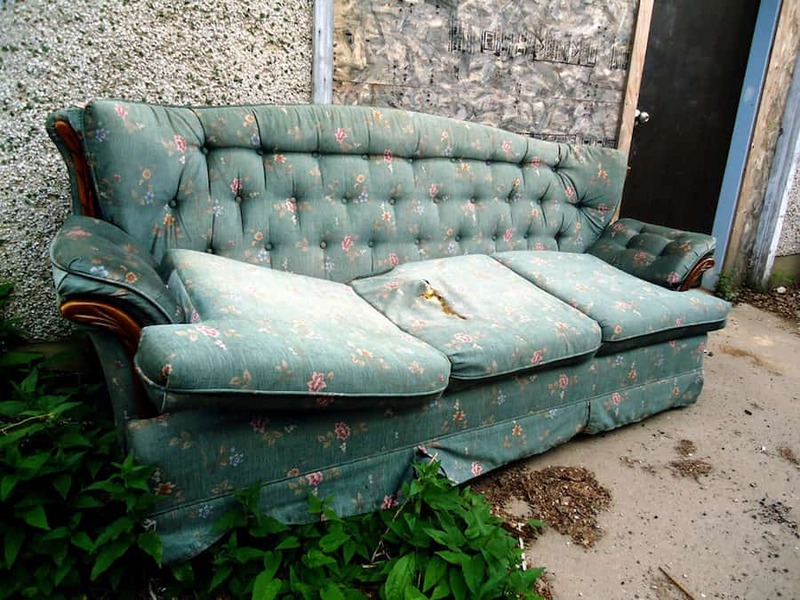 It can be tempting to seek out second-hand furniture when you need some for your apartment or house. And there’s nothing wrong with it, if you are confident the furniture doesn’t have any stowaways on it. But the real problem comes in when you don’t know the people who have owned that furniture before you and you’re not sure if they’ve ever had a problem with bed bugs. While you’ll definitely end up saving money on second-hand furniture, the savings may not be as great as you think they will be. If you have to end up hiring a professional to come in and get rid of bed bugs that have overtaken your house as a result of bringing in used furniture, you could end up paying a lot more in the long run than you would have if you just bought new furniture to begin with. Bed bugs aren’t cheap to get rid of. Just remember that when you start looking at second-hand furniture. If you like to shop at thrift stores, you’ll need to take some extra precautions to ensure you’re not setting yourself up for a bed bug infestation. Not all of the clothes in thrift stores are clean when they’re brought in. Even if you don’t see any bugs, there could be eggs attached. It’s something you should be aware of when you bring those items into your home – they should be washed immediately and dried by using high heat in your dryer. Bed bugs are great little hitchhikers. They can tag along without you even knowing it. When you’re at a hotel, they can climb into your suitcase and into your clothes, hiding away. Because they are wonderful at hiding in the crevices of things, you’ll never even notice they’re there. Then when you come home, set your suitcase down inside and start to unpack, they’ll come out and look for new hiding places and accommodations. 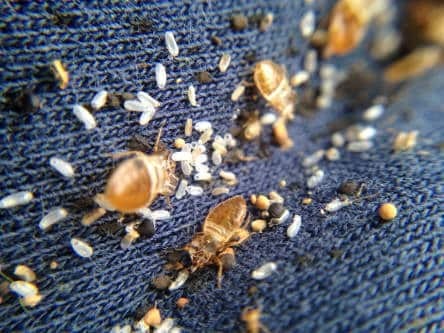 Bed bugs may also hitch a ride on your clothes to get from one location to another. But unlike ticks and lice, they don’t attach themselves directly to your skin for the ride. They save that for when they’re ready to start feeding on you. When you’re riding on public transportation, try to hold your purse or suitcase, if possible, on your lap. That will stop any bed bugs that are crawling on the floor from wandering into your bag. While they can still climb up onto the seat and get onto your clothes that way, there’s no need to make things easier for them. Bringing home a single bed bug won’t necessarily cause an infestation. If it’s a male, there’s no way for him to reproduce. He’ll bite you when you sleep and draw some blood, but when his life span ends, that will be it. You won’t have to lift a finger – things will just fizzle out on their own. But if a pregnant female is the bed bug that hitches its way into your house, it could be a different story. In that case, that one bed bug could very well start a full-fledged infestation. In just a few months, you could be in an epic battle. So, remember, if you’ve been exposed to an infestation, don’t panic. The odds of you bringing home enough viable bed bugs to start an infestation at your own home is still pretty slight. It will be much likelier to happen if the place you’ve been to had a really heavy infestation instead of just a small bed bug problem. Whether you’re going to a hotel for a short getaway, staying at a friend’s house, or shopping for some second-hand items, it can pay to know the best strategies for keeping those bed bugs out of your house. Here are some ways to help you accomplish that. When you go to a hotel, keep your suitcases in the bathtub or on a rack near the entrance while you do a quick once-over of the room. Check out the crevices on the mattresses and the headboards for any signs of bed bugs. You’ll want to look for any dark-colored excrement stains on the mattresses, as well as signs of shed skins, eggs, or live bugs. 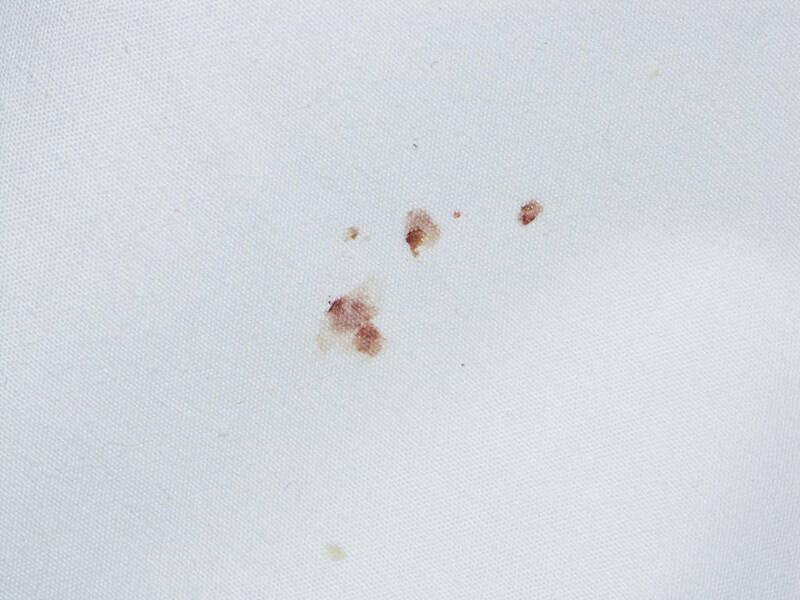 If you notice any tiny blood splatters on the mattress, those could have been left behind by bed bugs when they were feeding. When you do come home, take your suitcases straight to your washer and dryer and put your clothes through there. If you can’t wash them immediately, put them in garbage bags and seal them up so the bed bugs can’t get out. Then when you’re ready to wash them, unseal the bag and stick them right in there immediately. If you insist on buying second-hand furniture, at least try to buy it from people you know. While they may still not tell you whether they’ve dealt with bed bugs in the past, they’ll be likelier to tell you than a total stranger will be. 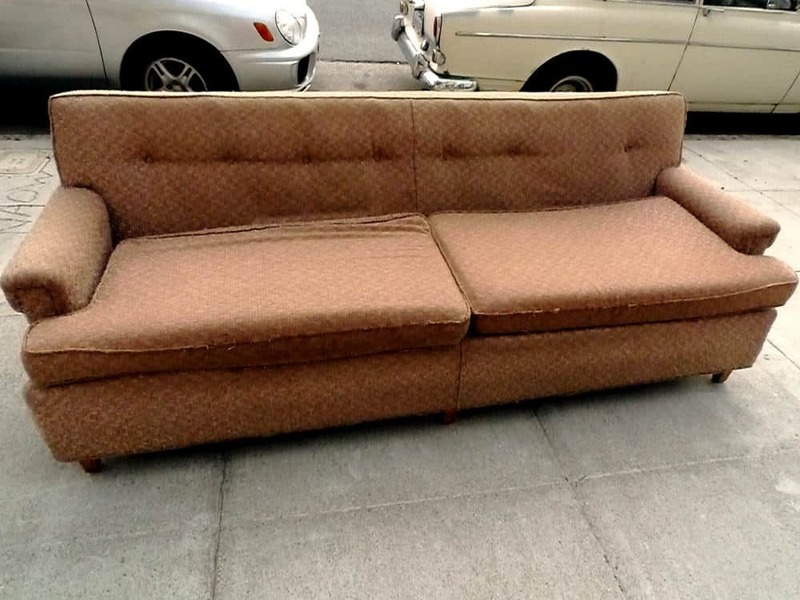 Also, no matter how tempting it is, never take any free couches, mattresses or chairs that people place at their curbside. You have no idea why that furniture was placed out there to begin with – it could be because of a bed bug infestation. If you decide you want to risk taking a free couch or you buy a piece of second-hand furniture, make sure to vacuum it before you bring it into your home. Use a high-powered vacuum that offers plenty of suction and make sure you pay close attention to the crevices of the couch or the mattress you’re bringing into your home. Now you know how bed bugs get into your house, you might be able to prevent it from happening in the future. By taking a few simple precautions, you might be able to save yourself the time, expense, and frustration that comes along with a bed bug infestation. 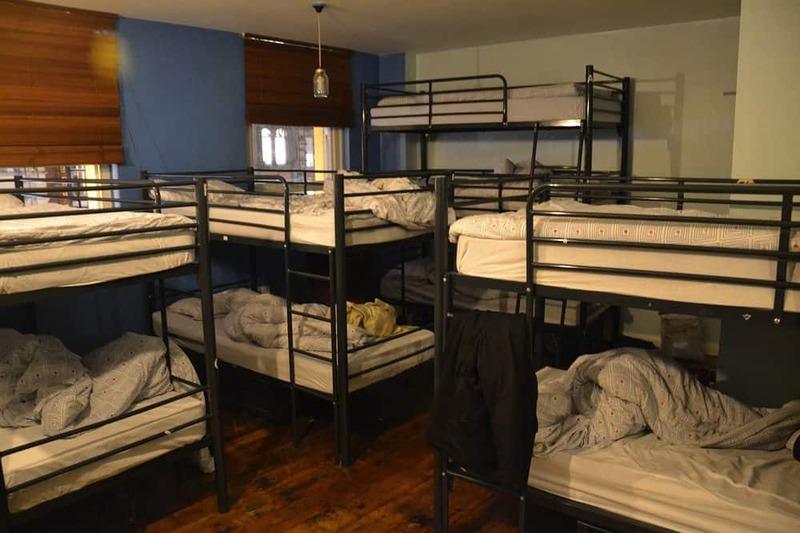 While you won’t be able to eliminate your risk completely, your chances of getting bed bugs will be much lower with the advice you have learnt from within this article. Best tip of the article is to give a solid once-over when staying in any hotel – while keeping your suitcases safely stashed away in the bathtub.